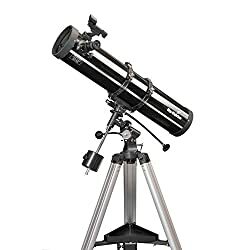 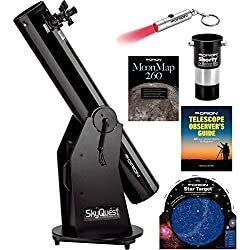 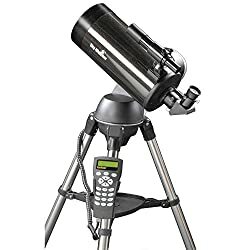 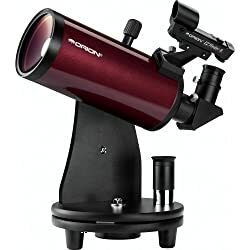 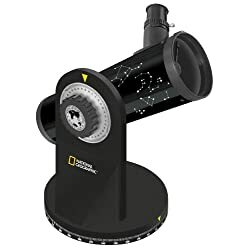 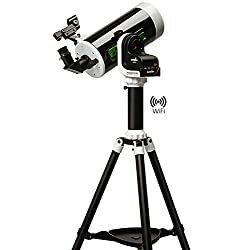 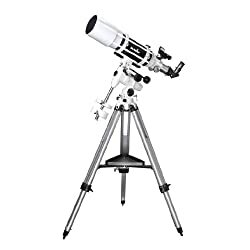 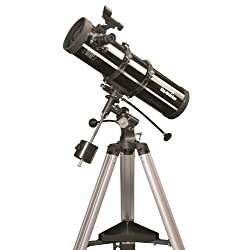 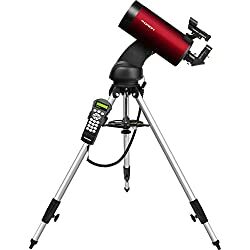 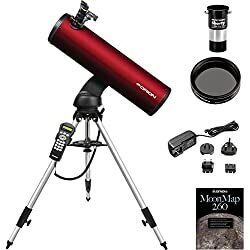 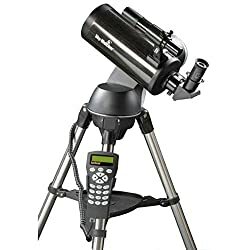 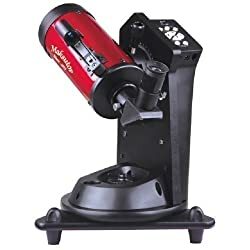 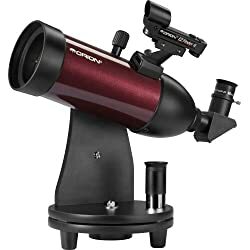 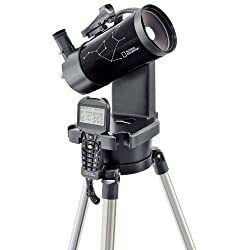 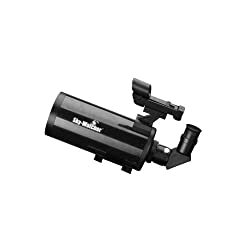 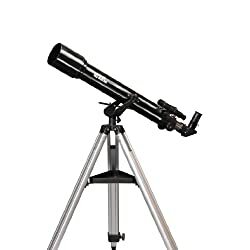 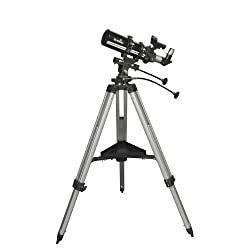 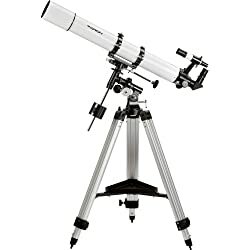 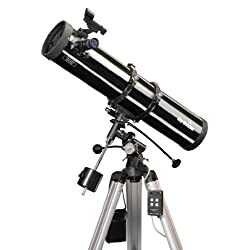 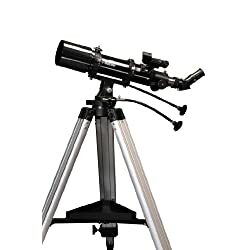 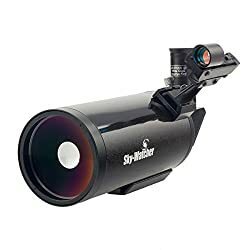 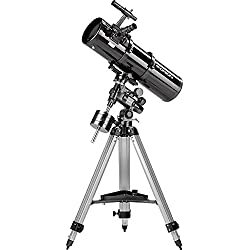 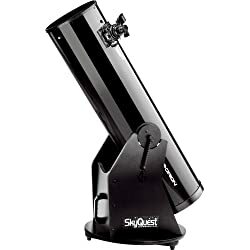 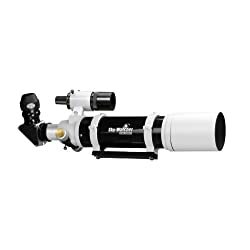 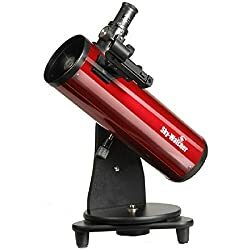 Small but powerful, this bright, Dobsonian Telescope for stargazers is extremely portable, easy to use and available at a very reasonable price! 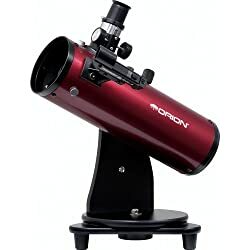 Orion 08946e. 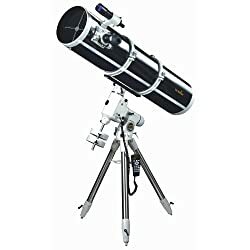 Product length: 121.4 cm. 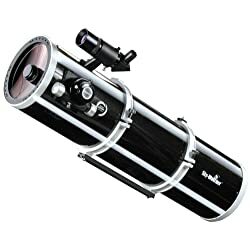 Optical tube diameter: 25.4 cm. 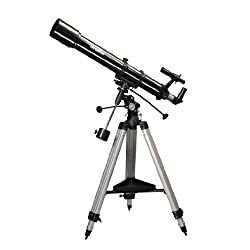 Tube type: metal. 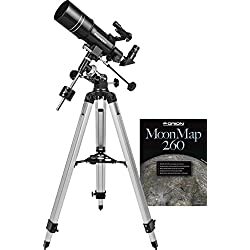 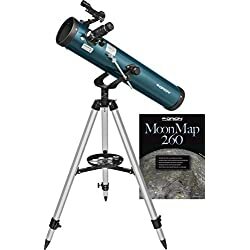 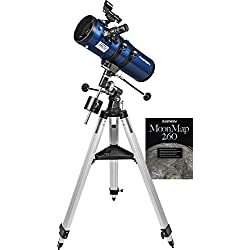 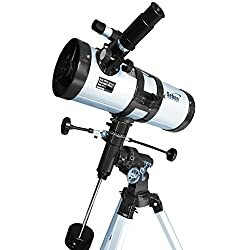 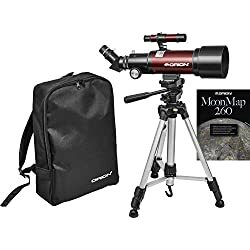 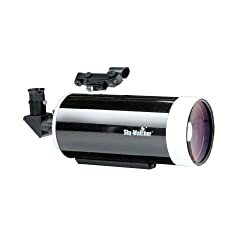 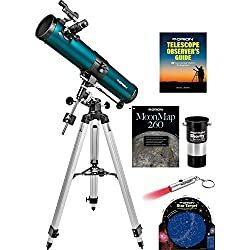 A fantastic beginner telescope the whiole family will enjoy that’s lightweight, easy to set up, and has a very affordable price tag! 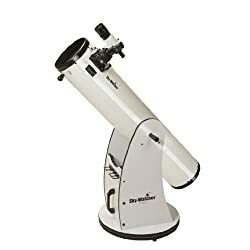 Magnification (with eyepieces supplied): 60x and 150x. 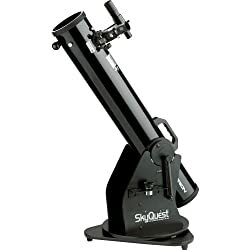 Receives 55 % more light than 102 mm. 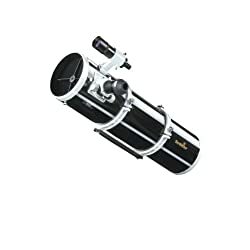 Box contents: 127 mm f/1500 computerised Maksutov-Cassegrain telescope; eyepieces included (1.25 inches): 10 mm and 25 mm; 6 x 30 finder scope; 90° deflection mirror (1.25 inches); tripod made of stainless steel with accessory compartment. 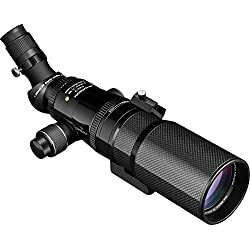 Magnification (with optics supplied): 30 & 52.